The bathroom is usally where I start because in my opinion, it is the grossest room in the house. I start with the sink. There are so many little grooves where the metal meets the ceramic part of the sink that are hard to clean with out the SteamMachine. 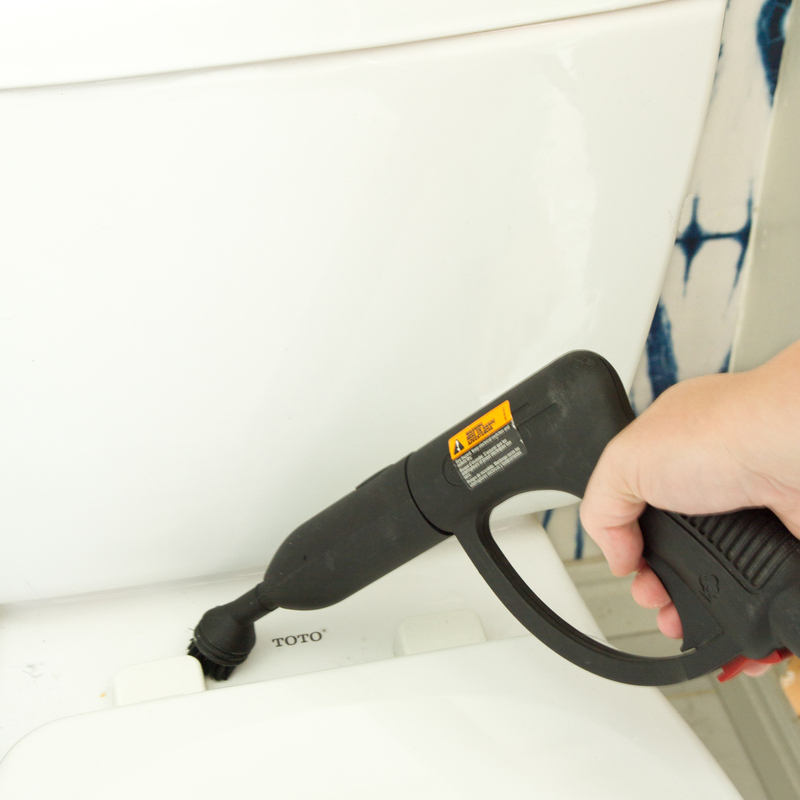 I add the small scrub brush attachment and it is clean in no time! Next I move over to the tub and shower area. 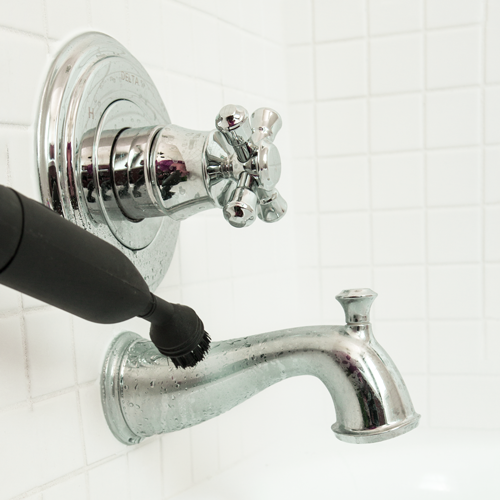 The SteamMachine with the small nylon brush is great for getting water spots off and cleaning grout. And the floor mop attachment would also work well on the shower walls! 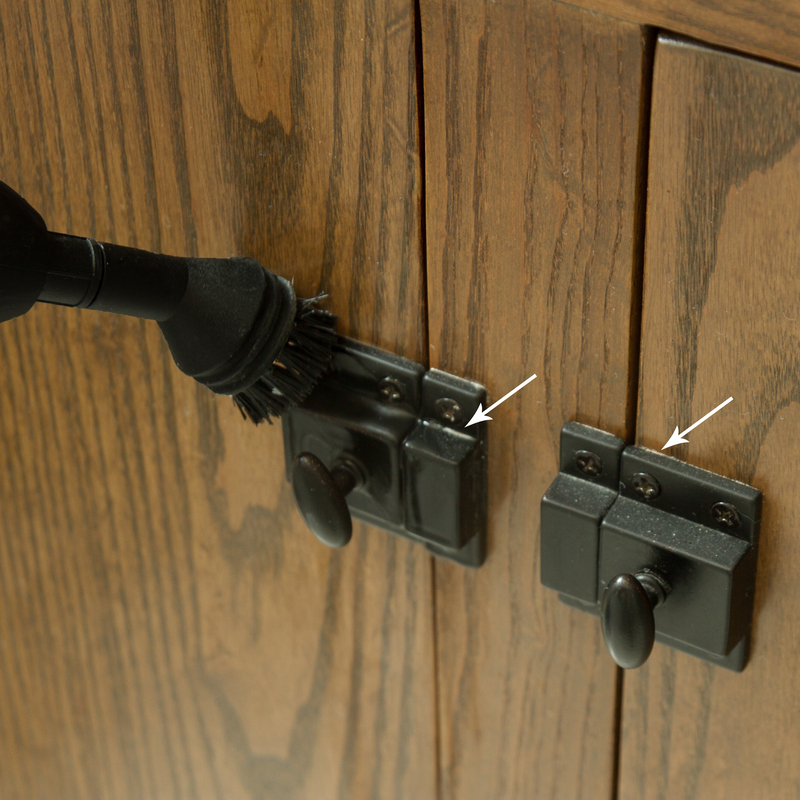 I love the hardware on my vanity but it is hard to get the dust out of the grooves. This is after I wiped it off with a rag. But the SteamMachine will get it all in seconds! Next I work my way down to the vent cover and baseboards. 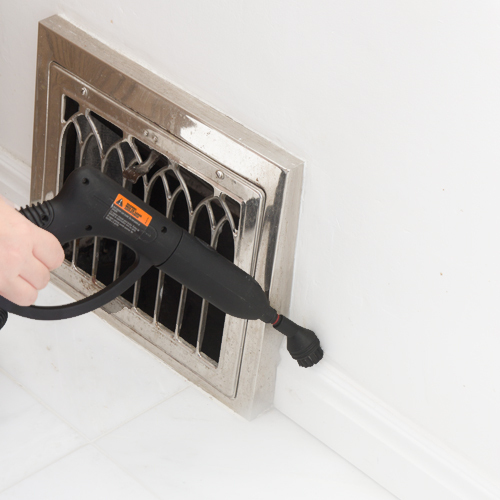 The same small scrub brush attachment is great for the top of the baseboards that collect dust (especially corners!). I make sure and have a dry rag handy to wipe it all away. The floors are the next thing to get steam cleaned. 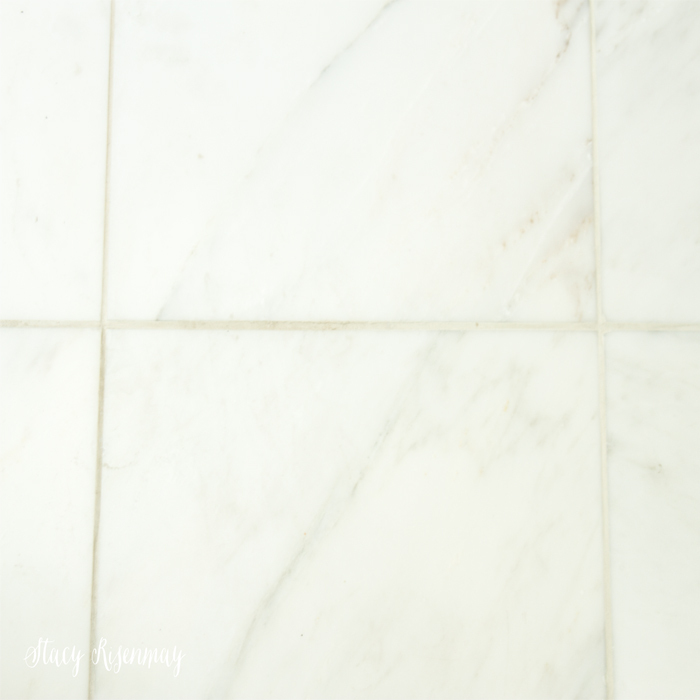 The mop attachment is great for the whole floor and the jet nozzle and/or the small scrub brush are great for the grout. You can see I cleaned one side and the other side is still dirty. The last thing I tackle is the toilet. It is near impossible to clean around the hinges and not have junk still stuck in the cracks unless you use a SteamMachine. Once the blast of steam hit those hinges, stuff will come out that will both terrify and satify the clean freak in you. It works great for the whole toilet, especially the base. What do you think is the worst room to clean? I bet the SteamMachine can help! Ready To Get Your SteamMachine Model 52?